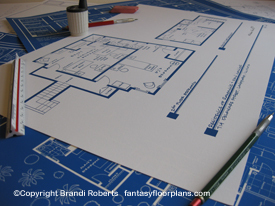 Buy a poster of Roseanne's house floor plan. Roseanne and Dan Conner's home. 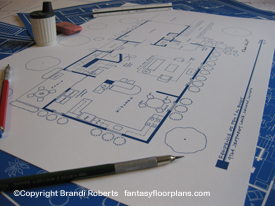 My fictional Roseanne house floor plan for Roseanne Conner and Dan Conner's home features eat-in kitchen, enclosed porch/laundry area, living room with fireplace and built-in bookcase. In the living room you'll find a rather worn sofa from Sears, a chair by J.C. Penney and sculptured carpet. A detached garage serves as Dan's man-cave and contains an unfinished boat, a fridge with beer and various other manly, and seldom used, tools. 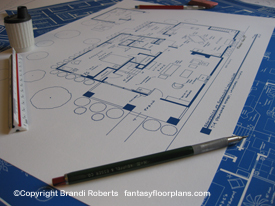 My Roseanne house floor plan is a guaranteed conversation starter! 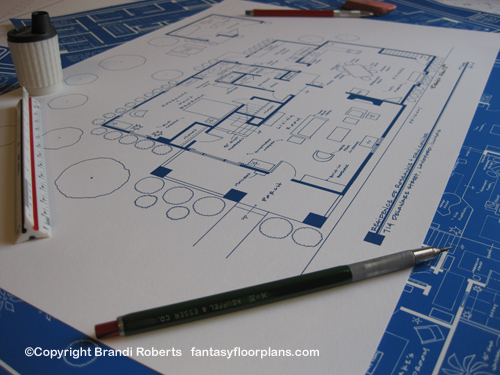 Pair with Roseanne's second floor for the complete set!